More than our name, it’s our family! 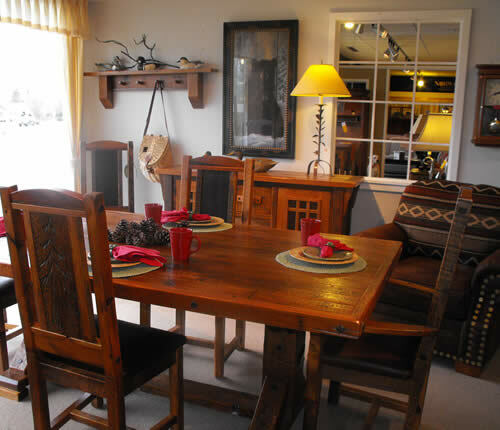 SHIMEK’S FURNITURE has been a family owned business since 1919. The reason we’ve been able to not only stay in business for so long but to thrive and continue growing for over 80 years is simple - we treat every single customer that walks through our door or visits our website like they want and deserve to be treated. We are able to successfully compete and excel against the big chain stores because of our emphasis on quality, tremendous value and awesome service. It’s a point of pride with us. Currently owned and operated by Scot and MaryJo Shimek, the fourth generation in the company’s history. Our goal at SHIMEK’S FURNITURE is to provide you with the very same standard of service here on the Internet that you’ve come to expect when you walk through our doors. Now viewing our furniture and products are convenient and simple. Our web site is open 24 hours a day, 7 days a week. Visit us often to check out our newest products and great values, and get your questions answered. Thanks for visiting our online showroom, and please let us know how we can continue to serve you.